Have you ever asked yourself what changed when you were "born again"? You look in the mirror and see the same reflection - your body hasn't changed. You find yourself acting the same and yielding to those same old temptations - that didn't seem to change either. So you wonder, has anything really changed? 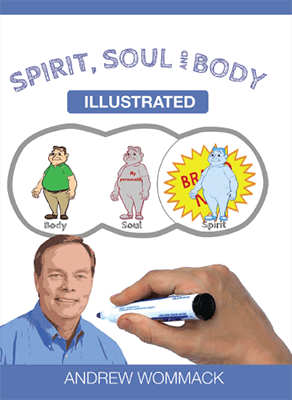 Spirit, Soul and Body will help you to eliminate those and other doubt-filled questions that destroy your faith. This message has been made into a series of special illustrated videos that make it easier to understand than ever before!